Affordable with no compromise in exceptional quality, this casket is constructed from 100% walnut wood and is available in a natural walnut finish or an elegant mahogany hue. Hardware is decorated to match. The lumber used is carefully selected for superior color & grain and is graded FAS quality or higher. The incredible value shows – each casket is made by skilled American master-craftsmen and must pass a rigorous 10-point quality control inspection before it leaves the factory. 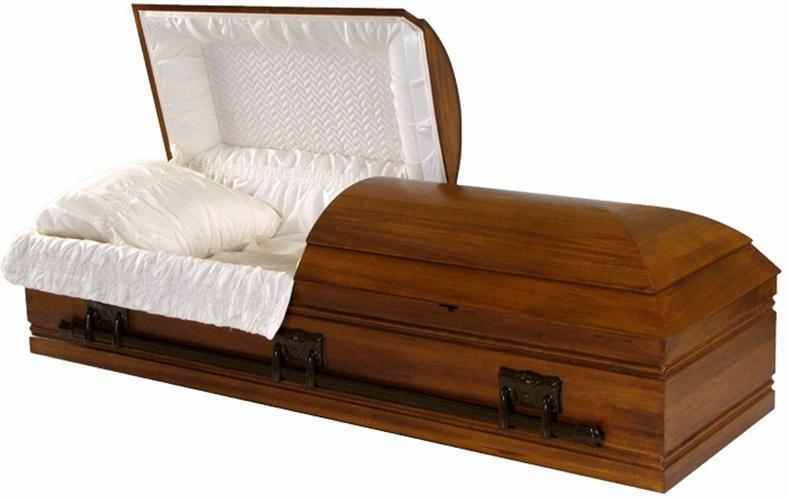 Designed to fit all standard burial vaults.